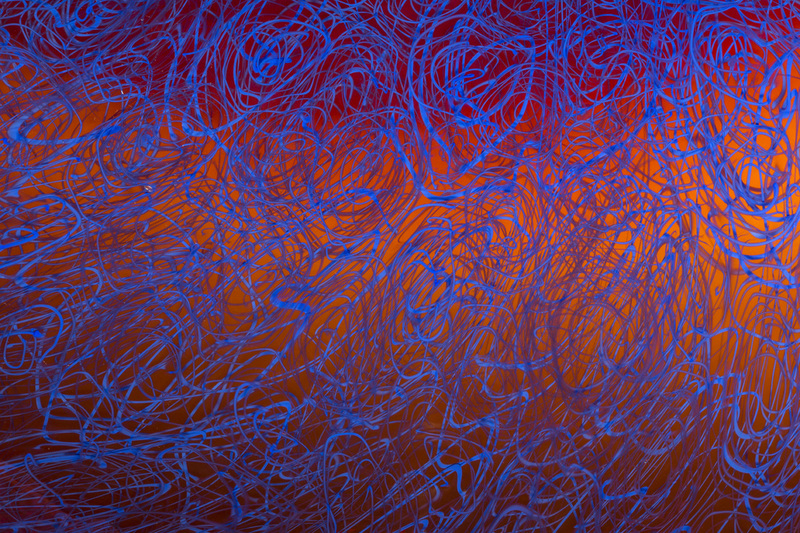 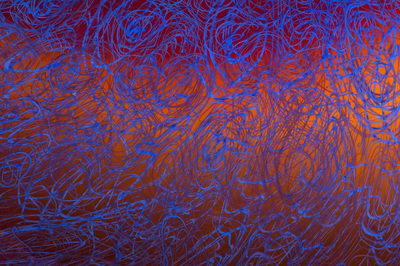 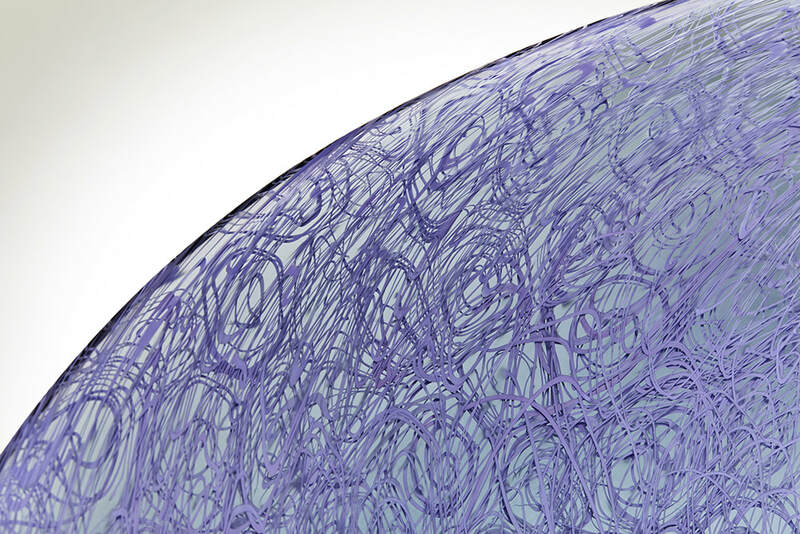 Josie Gluck and Michael Schunke, Purple Grey Scribble. Handblown glass. Josie Gluck and Michael Schunke, Grey and White Skein. 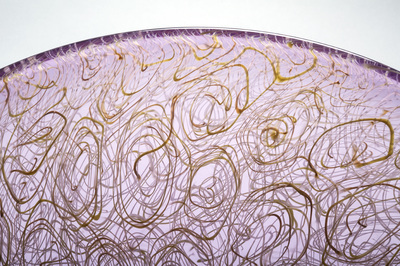 Handblown glass. 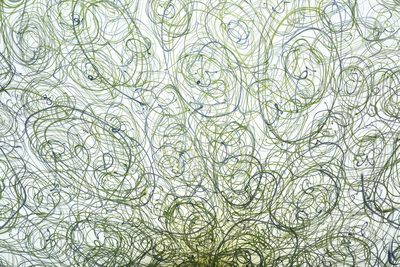 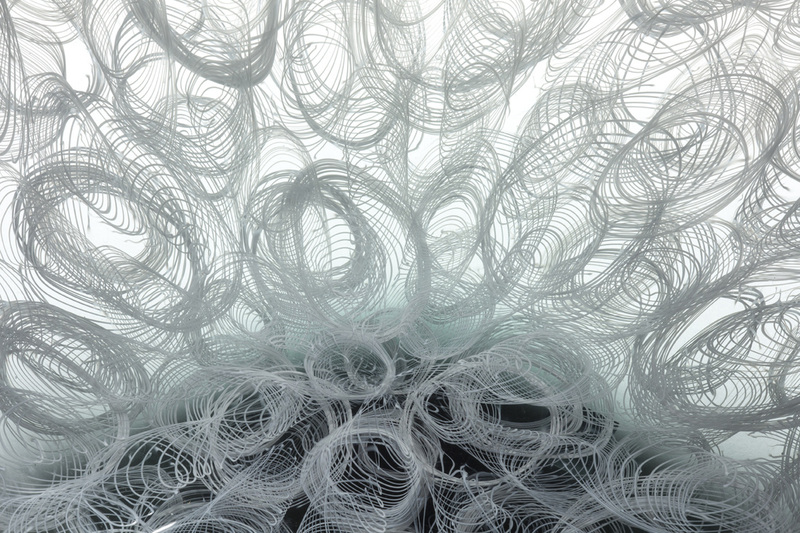 Josie Gluck and Michael Schunke, Grey and White Skein, detail. 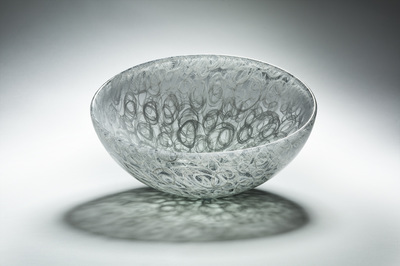 Michael Schunke and Josie Gluck, "Cherry Tangle," handblown glass sculptural vessel with contrast glass pattern. 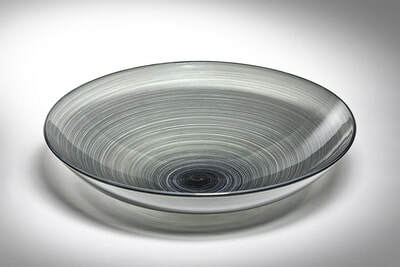 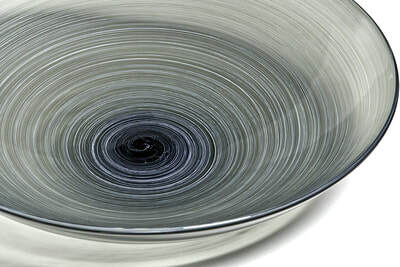 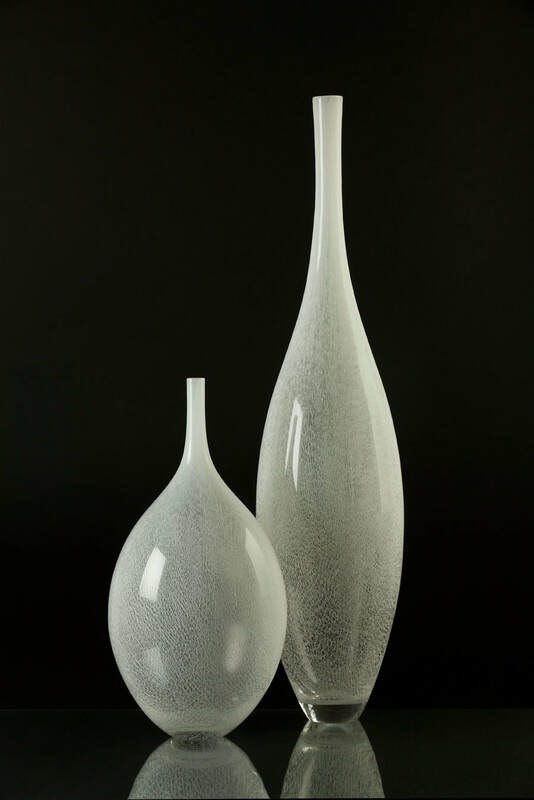 Michael Schunke and Josie Gluck, "Grey and White Spools," handblown glass sculptural vessel with glass pattern. 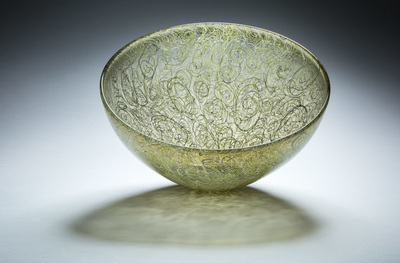 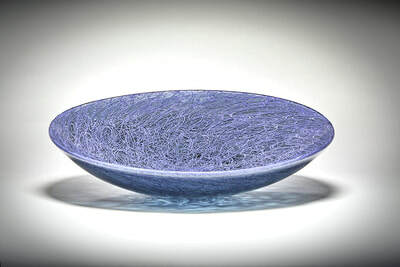 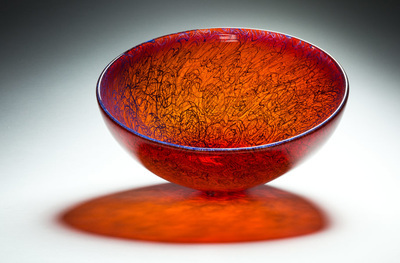 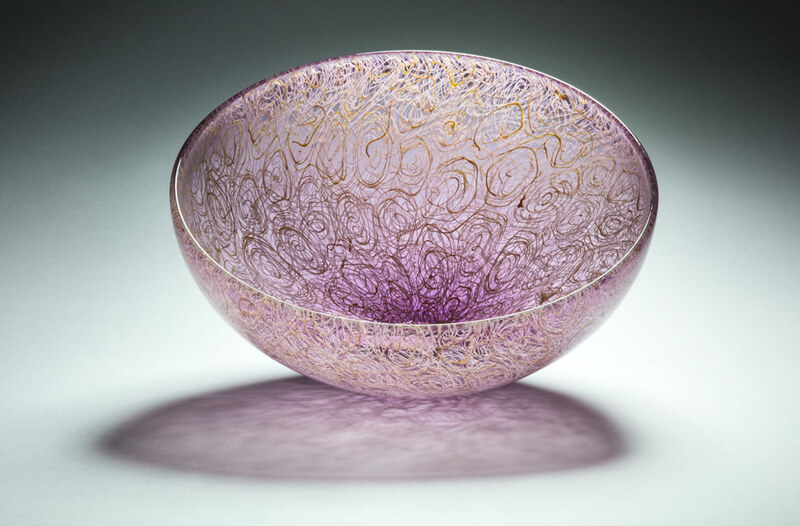 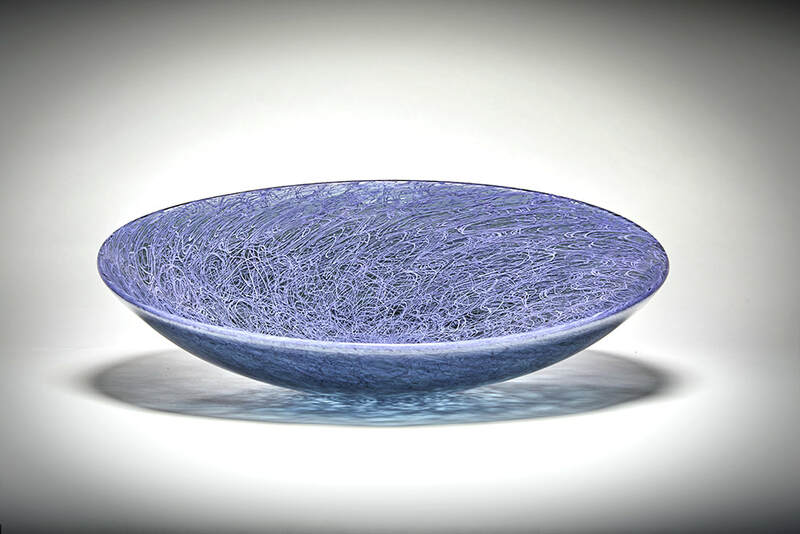 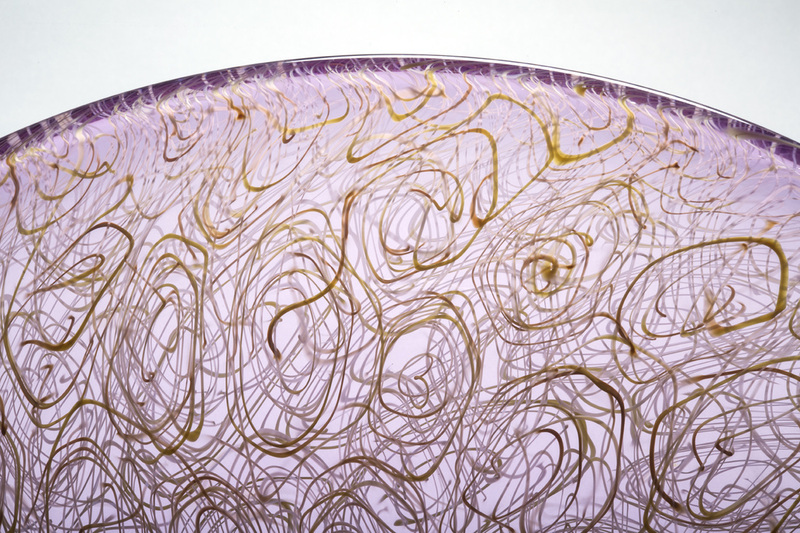 Michael Schunke and Josie Gluck, "Hyacinth Scribble," handblown glass sculptural vessel with glass pattern. 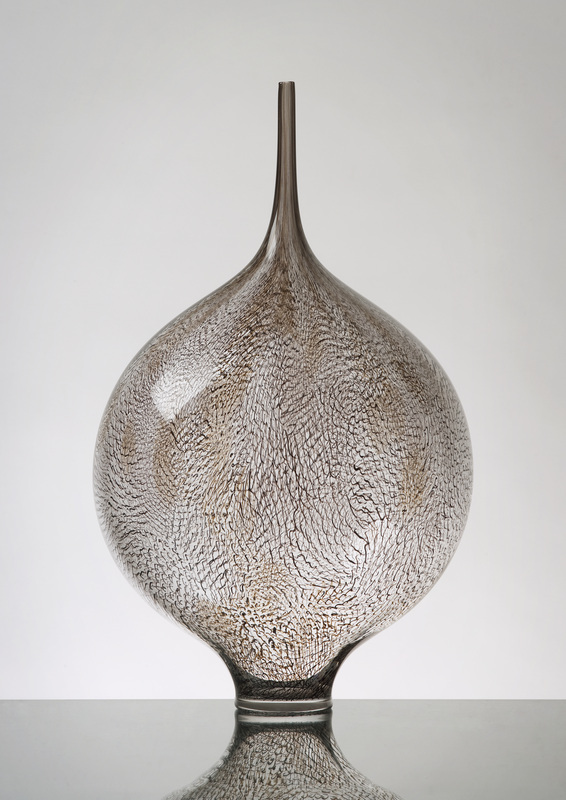 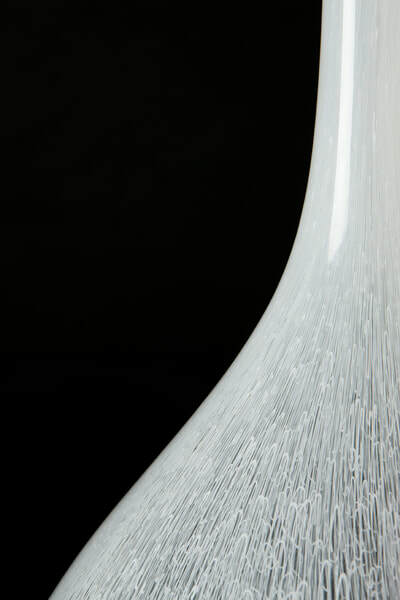 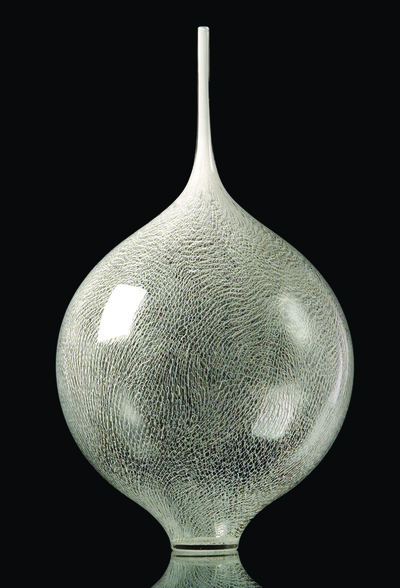 Michael Schunke and Josie Gluck, "Straw Scribble," handblown glass sculptural vessel with glass pattern.